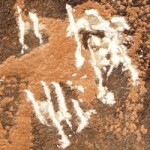 In the area just south of the Anti-Atlas numerous rock art sites have been recorded. 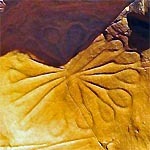 However, there are remarkably few rock art panels with cupules in that area. 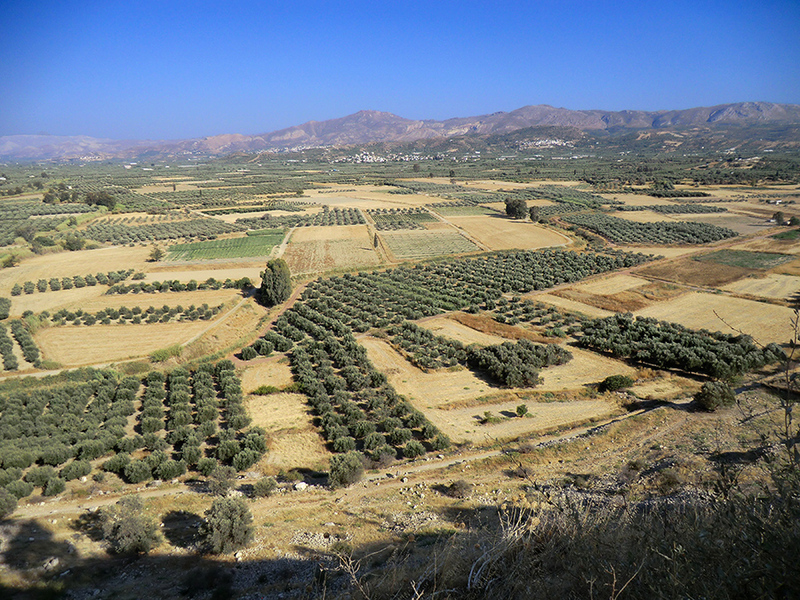 This study describes a surprisingly high number of cupule panels in the Imaoun area, north of the town of Akka in southern Morocco, which represents a true anomaly in this respect. 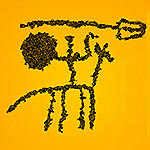 Rock art motifs are found in every inhabited continent. 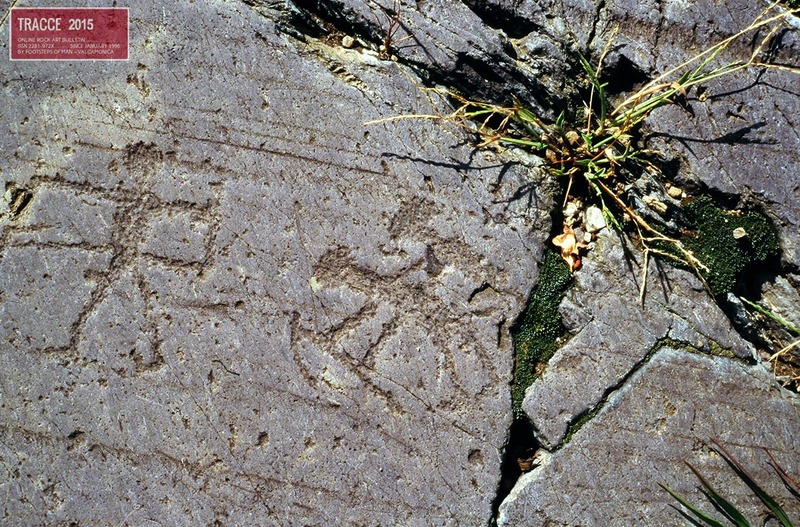 In most cases those motifs develop independently, but it is also certain that specific rock art motifs migrated from one area to another area, sometimes travelling for thousands of kilometres. This study investigates the possible long-distance diffusion of a number of abstract rock art motifs along the Pacific seaboard of the Americas. 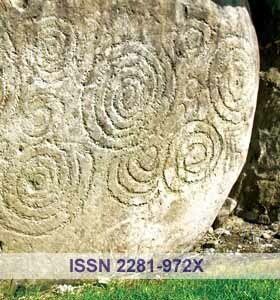 This paper provides a few examples of petroglyphs that have drastically been transformed by later rock art manufacturers. 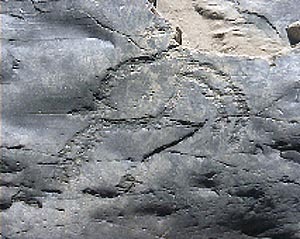 However, it focuses on one specific petroglyph, which is found at Alto de Pitis in the Majes Valley of southern Peru; aptly called ‘The Death Valley of the Andes’. In this paper I tentatively argue that the unique ‘Trophy-Bird’ petroglyph of Alto de Pitis initially started off as a ‘trophy’ head, which was later intentionally transformed to symbolise the Supernatural Flight of the Dead towards Apu Coropuna, the Sacred Mountain of the area. Very recently several petroglyphs at the rock art site of Guelta Oukas in the Anti Atlas Mountains of southern Morocco were severely damaged. However, the mutilation was limited to two panels with mainly depictions of cattle and – moreover – to specific body parts of those zoomorphic images. In this paper I argue that this is not just another case of unwanted vandalism. 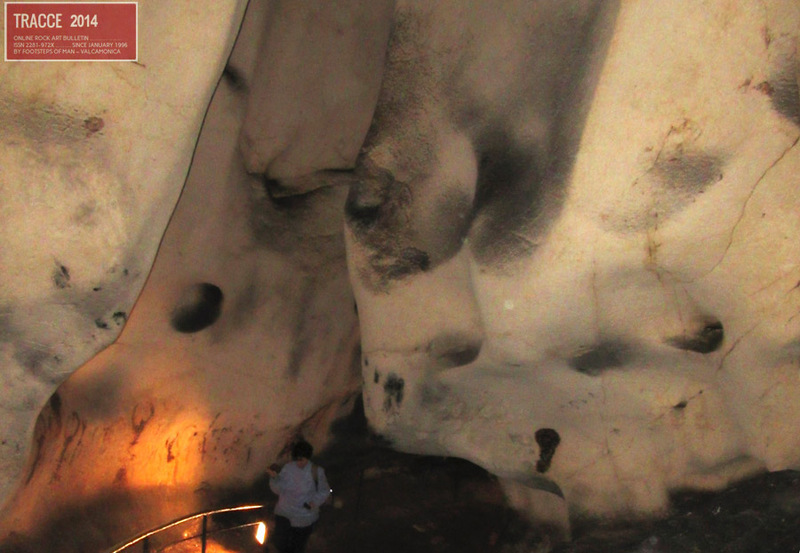 Instead, I propose that the mutilation at Guelta Oukas could represent an instance of ‘negative’ rock art, involving the desecration of the images. 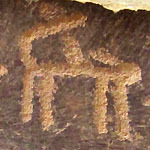 The plateau at the northern foot of Jebel Rat, in the heart of the High Atlas, Morocco, is a major rock-art centre, mainly known for its numerous petroglyphs of horsemen. There are also large circles (interpreted as round shields, some of them decorated) and weapons like daggers, halberds and axes. The anthropomorphic figures are not so well known. 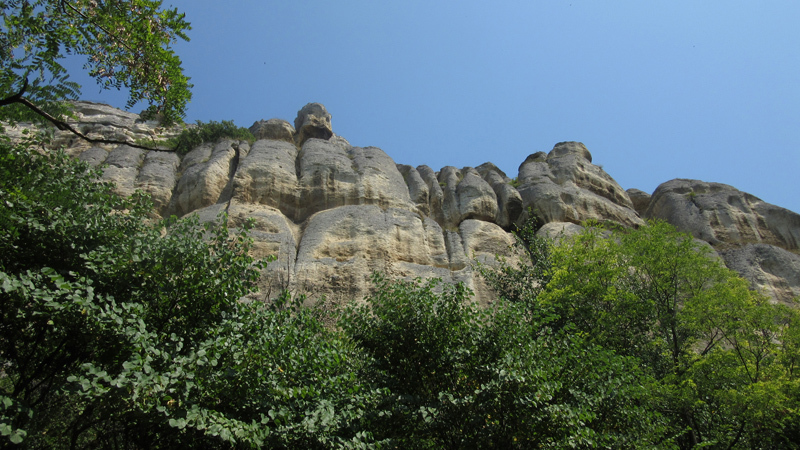 Some of them are similar to the ones present at Oukaimeden and Yagour, while others are typical of this plateau. 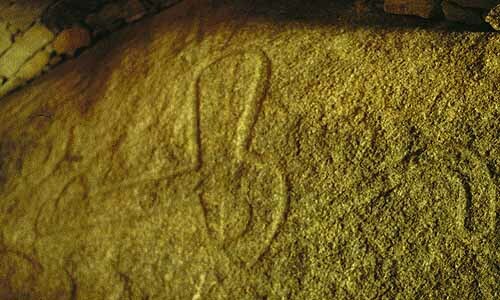 Those figures are round or oval, their heads drawn with coils or spirals. A number of newly found anthropomorphs are presented in this paper. 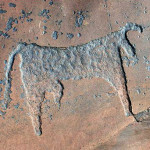 Aït Ouazik is a renowned and – fortunately – protected petroglyph site in the eastern part of the Anti Atlas Mountains, Morocco. The current paper focuses on continuous loop patterns in this area and explores their possible parallels in the rock art of NW Africa. Although the focus in this paper is on only a few specific petroglyph panels, Aït Ouazik has much more to offer. 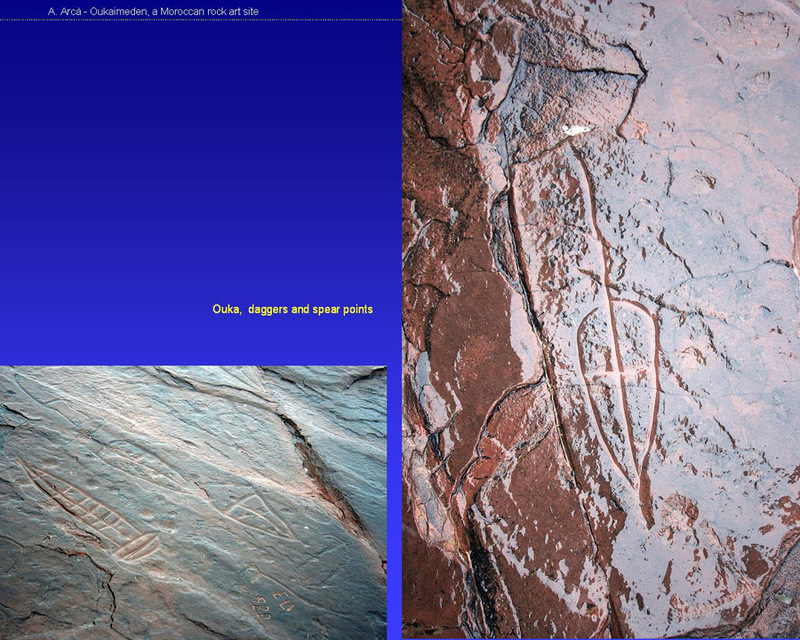 In order to give a more complete impression of the site and its petroglyphs, the paper is enriched by a YouTube video. Depictions of cats in rock all over the world art are frequently characterised by specific feline properties. The feline images at the petroglyph site of Foum Chenna in southern Morocco are much less idiosyncratic. Besides a general description of the rock art site of Foum Chenna, the current paper attempts at a re-evaluation of the image of the feline at Foum Chenna, simultaneously trying to fit the image into a chronology of Moroccan rock art.